At MDA, we believe in the power of community and the importance of building relationships with families going through similar experiences. We invite individuals living with a neuromuscular disease, as well as caregivers and loved ones, to attend MDA Engage educational events taking place across the country. MDA Engage Community Education Seminars are one-day events empowering individuals and families with knowledge and resources. Experts in the field and individuals living with neuromuscular disease share information on topics such as best practices in clinical care, research and clinical trials, genetic information, and more. All MDA Engage events include dedicated social time to give families the opportunity to connect. In 2019, MDA will host 18 Community Education Seminars in locations across the country. We hope you will join us at one. 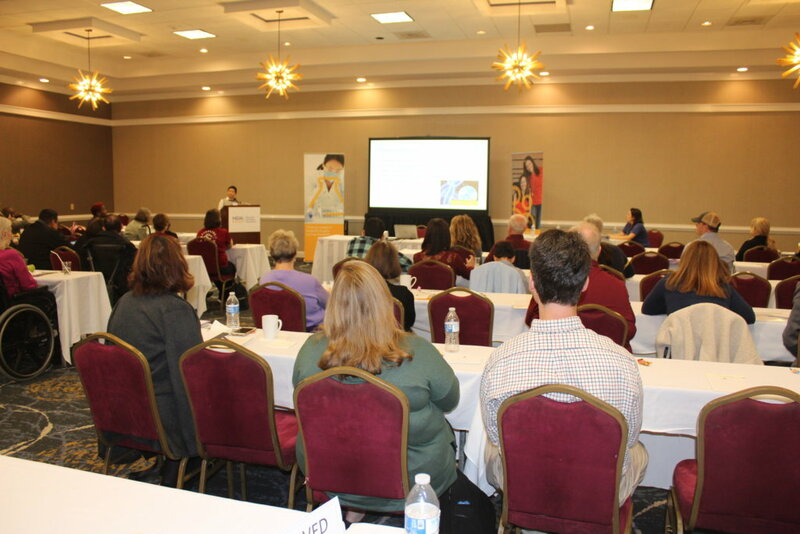 April 6: MDA Engage Community Education Seminar, San Francisco, Calif.
June 8: MDA Engage Community Education Seminar, New York, N.Y.
Additional events and locations are being planned. Check here for the latest list. MDA Engage Community Education Seminars are generously sponsored in part by Sanofi Genzyme.